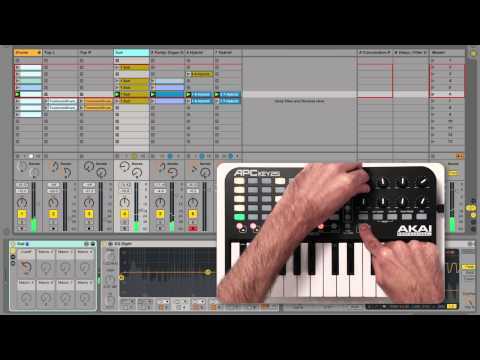 Fusing the dedicated Ableton Live 'APC' controllers with the popular MPK keyboard range, the Akai APC Key 25 is a fully-featured U..
Fusing the dedicated Ableton Live 'APC' controllers with the popular MPK keyboard range, the Akai APC Key 25 is a fully-featured USB MIDI keyboard controller with direct integration with Ableton Live and all major DAW software packages. 25 mini synth keys ensure expressive playing and note entry but in a small, mobile chassis for life on the road or alongside a laptop. A re-designed 8x5 button LED clip matrix is tailor made for use with Ableton Live, allowing you to put together a live performance or make music wherever you are. 8 assignable rotary controls also provide additional control over your software or VST plug-ins, and you can easily customise or re-map them to your liking. The APC Key 25 and VIP software work together to give you even deeper access to sorting and manipulating your VST virtual instrument and FX plugin library. An integrated patch browser presents every patch for every VST plugin you have, and lets you to quickly filter, select and preview patches based on their specific attributes. You can layer patches together (from up to 8 different VST plugins) to create new patches and timbres. You can also create setlists that provide instant on-demand access to your instruments for stage performance and studio work. 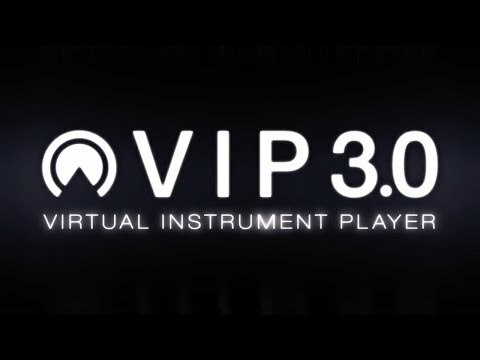 As of September 2017, Akai have announced the release of VIP3.0! This latest update of their critically acclaimed VIP software is even more efficient, and is now available on a wider-range of controllers than ever before! MIDI Learn - allows you to seamlessly map your MIDI controller's hardware controls to specific parameters within the software, enabling instant access and more efficient levels of creativity - this feature makes especially good use of the extensive libraries for MIDI controller mappings on both Akai Professional and M-Audio keyboards. Plug-and-play connectivity means it's really easy to set up and use straight out the box, no need for time-consuming re-mapping!